Last week the Prime Minister lost a vote on her deal by a majority of 149. "This ruling should not be regarded as my last word on the subject", he said. In a surprise ruling on Monday, Bercow set the government a new "test" to meet if he's going to allow the prime minister to ask Parliament to vote again on whether to approve the agreement she's spent two years negotiating with the European Union. Her foreign minister, Heiko Maas, said: "If more time is needed, it's always better to do another round than a no-deal Brexit". The very future of our Nation is at stake so the option of ignoring them is not available to us. "What we need to do is secure the deal", he told Sky News. 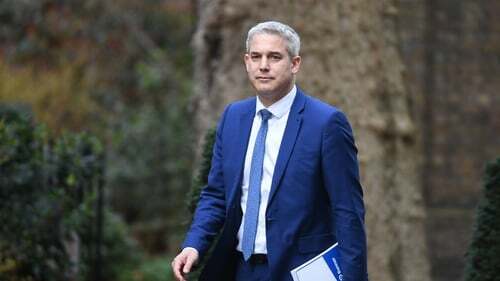 Brexit Secretary, Steve Barclay, said the ruling meant a vote this week on May's deal was more unlikely, but said ministers were studying a way out of the impasse and indicated the government still planned a third vote on May's deal. Speaking to Britain's national broadcaster BBC, he raised the prospect of prorogation - ending the parliament session prematurely. "To get out of this uncertainty, we need choices and decision from the United Kingdom". "There are ways around this - a prorogation of parliament and a new session - but we are now talking about not just days but hours to the 29th of March". The government meant to try a third time to get lawmakers to back the deal, ideally before May joins European Union leaders on Thursday at a Brussels summit where she is set to ask the bloc to postpone Britain's departure. "I think the one thing everyone would agree on is involving Her Majesty in any of the issues around Brexit is not the way forward so I don't see that as a realistic option", he said. It's possible the EU may propose a long extension to the Brexit process and require the United Kingdom to take part in the upcoming European elections in May. In order to avoid a further stalling of the withdrawal agreement, the British government may now have to come back with essentially the same deal but tweaked with additional side agreements with the EU. Bercow - whose booming cries of "Orderrrrr!" have made him something of a global celebrity - has often used his office to boost the influence of backbench lawmakers, to the annoyance of May's government.